When will you be ready to publish? Select One I am ready to publish today. I will be ready in 1-3 months. I will be ready in 4-6 months. I will be ready in more than 6 months. I do not have a book or manuscript. What amount do you want to invest to get published? What support do you need to help you get published? I want to receive periodic promotional emails from the recommended publisher. The publisher for you is just a few clicks away. Find Your Publisher (FYP); powered by Author Solutions, LLC. is a Web site dedicated to helping both first-time and experienced authors identify the most suitable publishing services provided for their book. With the information you provide about your book and goals, FYP makes a recommendation as to which book publisher has the best publishing package to help you reach your publishing objectives. Then on your behalf, FYP forwards the information you've provided to the publisher we recommended. They will then call you to discuss which publishing package is best for getting your book into the hands of readers. You've poured your heart and soul into writing your book, and you've long dreamt of the day when you will finally see your words in print. 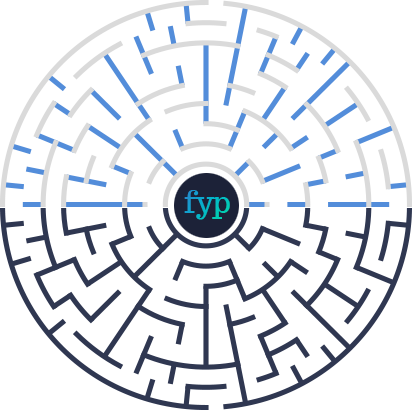 FYP can help you with the important first step of finding the right publishing services provider for your work. Give us some information about you, and your goals, and we'll point you in the right direction. Tens of thousands of authors each year choose to take alternative methods to traditional publishing to get their books into the hands of readers. Both first-time and experienced authors have discovered that publishing service-providers, like Author Solutions' industry-leading imprints, offer the publishing, marketing, and distribution services that authors need to achieve their publishing goals. Authors who choose to go with a self-publishing company, rather than take the traditional publishing route, retain control of their work and copyrights — and that is very important. Being able to control the destiny of your book gives you complete flexibility to "cash in" if the opportunity for a movie or TV adaptation presents itself. With self-publishing, authors are free to negotiate any other deals or sell to a traditional publishing firm at any time. Another clear advantage is your complete control over the content and design of your book. Still another benefit is that publishing service-providers help authors bring their books to market more quickly and provide higher royalties for every book sold, as compared with traditional publishing. It's time to take control of your book's destiny and find publishing options that are tailored to your needs. Fill in the form above to find the publishing firm that best suits your goals for your book.